Singaporean iPad, iPhone and Android Blog: The only Iphone case review I’ll ever do – cos it’s also a Li-Polymer battery pack at only 59 grams! The only Iphone case review I’ll ever do – cos it’s also a Li-Polymer battery pack at only 59 grams! I normally don’t pay attention to Iphone cases because I prefer to spend my money on apps, mp3s and epubs. 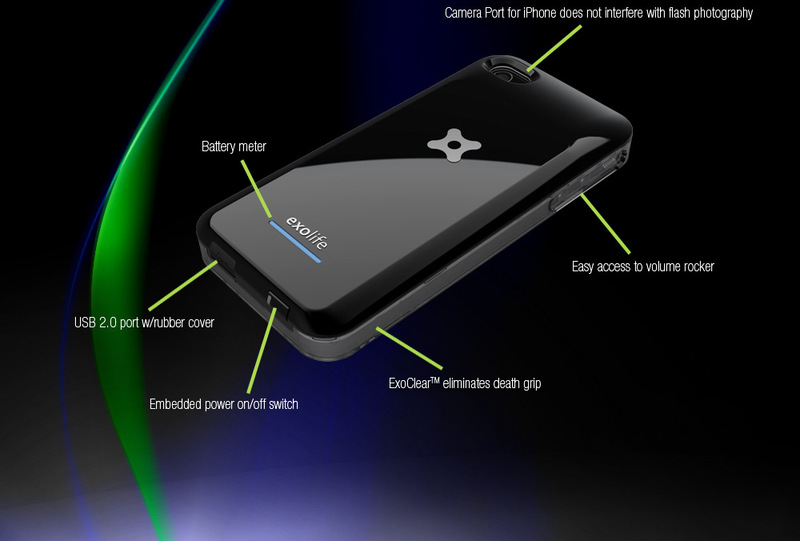 However, after coming across this Exogear iphone battery case in one of the tech forums that I regularly trawl, I must say that this is a bloody good idea and has a fantastically sleek design to go with it. I’ve seen various battery packs for Iphones but this one from Exogear takes the cake IMHO with to-die-for good looks and at 59 grams, won’t make you feel like you’re walking around with an i-brick in your pocket. The specs for the battery are pretty good for a long-haul frequent traveller like me though I haven’t verified the actual performance because my wife is probably not reading my blog these few days and hence it won’t be in my xmas stocking; and nobody is sponsoring me for this article. Nate Adcock (also an Iphone Life blogger) reviewed Mophie’s Juice Pack on 4 Dec but I think Exogear’s battery case looks better and is $10 cheaper at $89.95 vs Mophie’s MSRP $99.95. BTW, this is Mophie’s battery specs taken from Nate's post, which makes the Mophie seem slightly better because it is rated at 2000mAh vs Exogear’s 1500mAh. However, Mophie (also Li-Polymer)weighs in at 70.8 grams versus the raw Exogear case @ 59 grams. So I think the Exogear is probably lighter and therefore wins this round. Mophie also has a 1500mAh Juice Pack Air@ MSRP $79.95 but has worse specs than the Exogear. You decide. Mophie Juice Pack Air 1500mAh is retailing for about S$109 in Singapore and I've decided to experiment with an OEM battery case from Sim Lim Square (lvl 4 Ipad accessories shop) rated at 1800mAh retailing at S$65. It has doubled my battery life to 2 days of usage (originally, I would have reached the red bar on my iphone every night). Can't find the Exogear anywhere at SLS. I would say that the additional weight is noticeable but I'll rather have the extra battery life. 1800mAh is probably the bare minimum battery capacity IMHO. There's another OEM case offered by an SLS shop on lvl 5 at 2300mAh and $69 but it doesn't have the battery led indicator to show the level of charge remaining. the iPhone Case looks cool thanks for sharing.